Right now the spring weather is teasing us with a warm day here and there. When the warmer weather finally comes, a sleeveless vest will be just the right garment to wear over a t shirt or blouse. Blazers can be cumbersome, but you still want to look pulled together whether it's for work or a casual weekend. 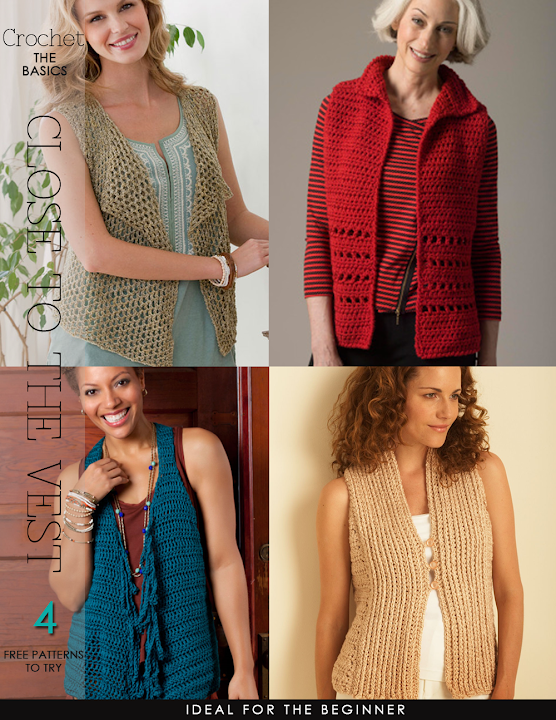 Here are 9 very easy patterns to try - 4 for the knitter and 5 for the crocheter, one being the very fashionable circle vest. Beginners as well as seasoned crafters will love these projects as they are quick to make and a great way for beginners to practise. 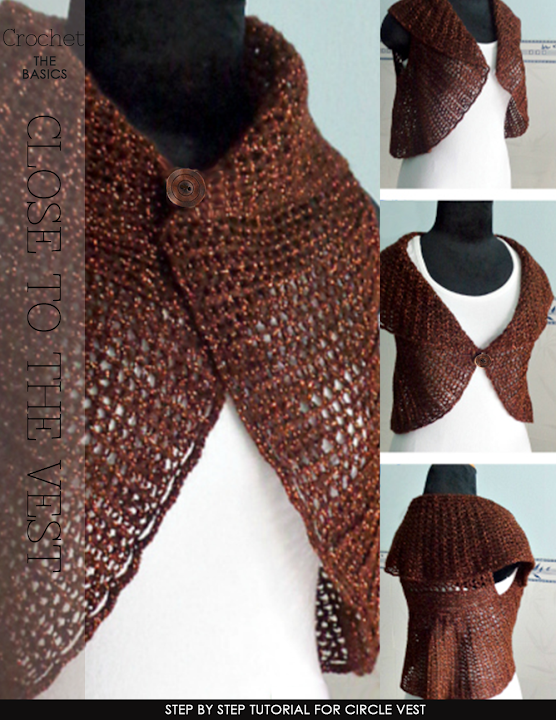 So spring into knitting and crocheting these fabulous vests.